Download an Adobe Acrobat .pdf file of these programs. 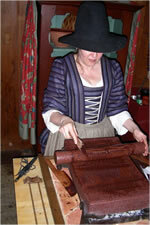 For more information or to discuss additional food history programs, contact Susan. Almost everyone is familiar with corn and enjoys the sweet taste in season. But what is green corn? Why are there so many colors? What makes popcorn pop? 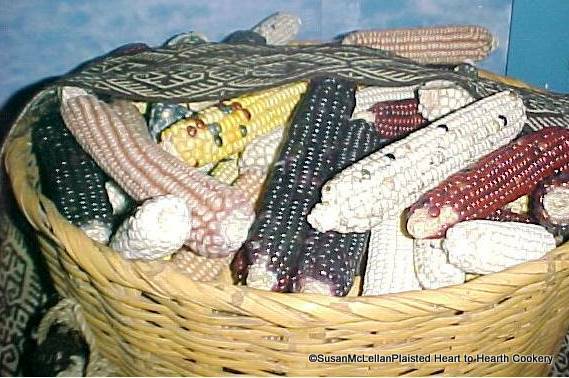 This presentation answers these questions and more and provides the evolution of corn to what we know today. If you think you know corn, this is a presentation (both pictures and actual corn) for you! There is more to corn than one would ever expect. This presentation is definitely 'worth its weight in salt'! 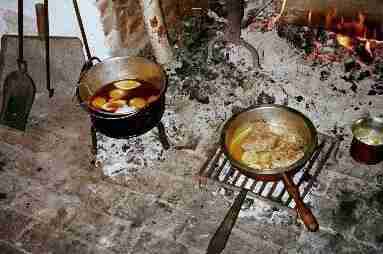 The salt that we take for granted and sprinkle on our food was absolutely essential for 18th century life and the life blood of the army. The fledgling saltworks of the colonies were strategic military targets. Interactive demonstrations are included in this most fascinating tale of salt. From the first produce of the season to the late fall, the preservation techniques of the 18th century were daily occurences. This power point presentation opens one eyes to a broad definition of a "pickle" and includes drying, potting and more.  Seasonality was the key word in what was placed on the 18th century table. This slide program takes the audience through the bread baking, cheese making, beer making processes and symmetrically appointed dining experiences. From hearth with lugpole to clock jack spit, this slide presentation shows the great versatility of the hearth, the use of the bake oven and hearth cooking equipment. How did a bitter seed become the chocolate that so many of us love? Find out this and more with this presentation. The New World cacao bean traveled to Europe and back and changed from beverage to bar. You will visit cacao plantations in Mexico and learn the process from bean to chocolate. Explore the foodways of the famous English Quaker William Penn (the founder and first Governor of Pennsylvania), with visuals of his favorite beverages and seasonal bill of fares. 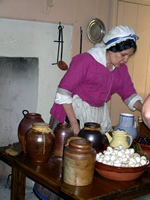 This slide series brings the audience to the Bake and Brew of Pennsbury Manor to show the preparation techniques and finished products. 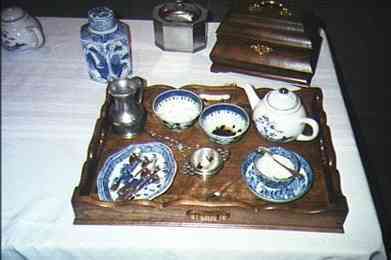 The experience of taking tea in the Colonies is explored with artifacts and slides. When "Little Miss Muffet sat on a tuffet, eating of curds and whey" she was eating cheese. This program provides a brief overview of the history of cheese and explains in detail the cheese making process in the early colonies. 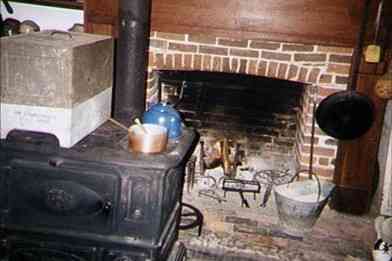 The introduction of the cookstove in the late 18th and early 19th centuries changed the lives of women and families. This program explores the transition from cooking at the hearth through the evolution of the cookstove. 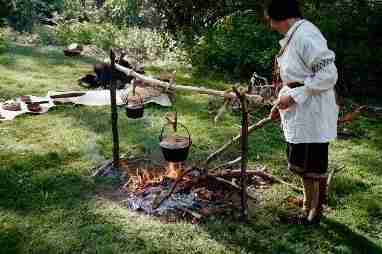 Explore the foodways of the Eastern Woodland Indians (Lenape, Iroquois, Wampanoag, etc.) 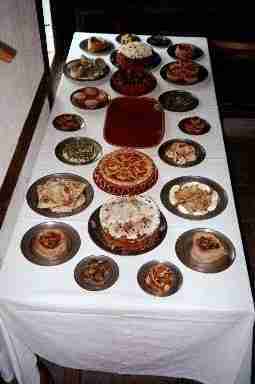 with visuals of the firing of the clay pots and use of the resources of the land and gardens for food.